3. Find your Agency Life Quoter, Forms Engine, or Website Quoter in your list of products. Click on it. 6. Copy the id, without the quotation marks, and paste it on your desktop, or in a new tab. You will need it later. 7. Return to your home screen, by clicking "Dashboard" in the navigation on the left-hand side. 8. On your home screen, find the card for your website, and click "Admin." If you do not have a card to log in to your website, please contact support. 9. Once you are in your website builder, find the page you would like to put your Product on. 10. Under the "Build" tab, on the left-hand side of the screen, there should be 3 widgets, one for each IXN Product. 11. Drag and drop the widget to its place on the page. 12. A popup should appear that says "Please Input your Token Here." Paste the id that we copied in Step 6 into this space. 13. Click the "Publish" button in the upper right-hand corner. 14. Congratulations! 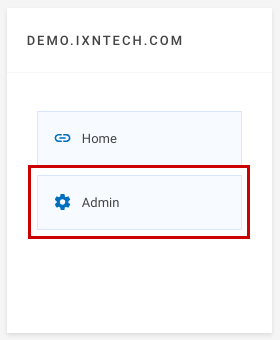 Your IXN Product should now be installed. Any changes you make to the settings in your dashboard will now automatically update on your website.